I recently attended a photography workshop, a portion of which was spent at the Huntington Library and Botanical Gardens. Our assignment was to photograph the Chinese Garden, a colloquial name for the Liu Fang Yuan, the Garden of Flowering. Our timing couldn’t have been more perfect. 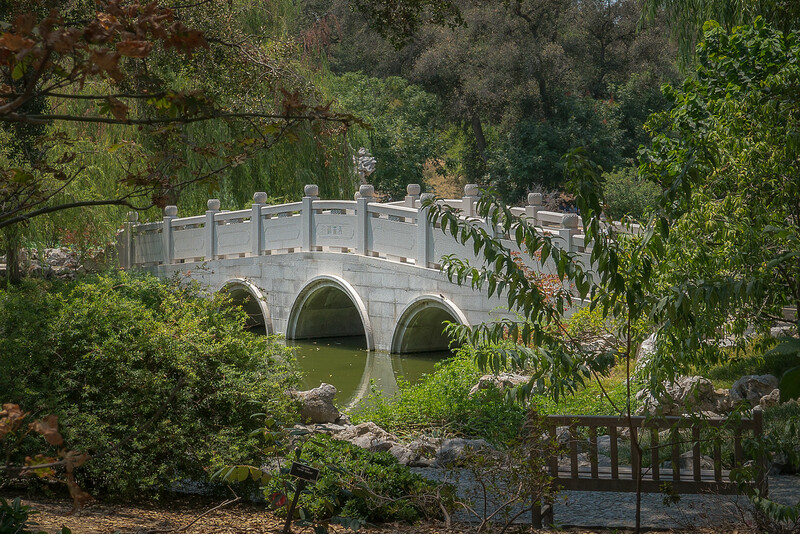 The Huntington recently announced that the Chinese Garden has received the funding needed to expand from the existing 3.5 acres to the originally planned 12-acre site. Currently, the red-roofed structures in the garden enclose the lake. The new construction will include an art library or artist’s studio and a bigger cafe. The existing cafe will be repurposed. During my visit, it was doing a steady business providing lunch to the visitors. 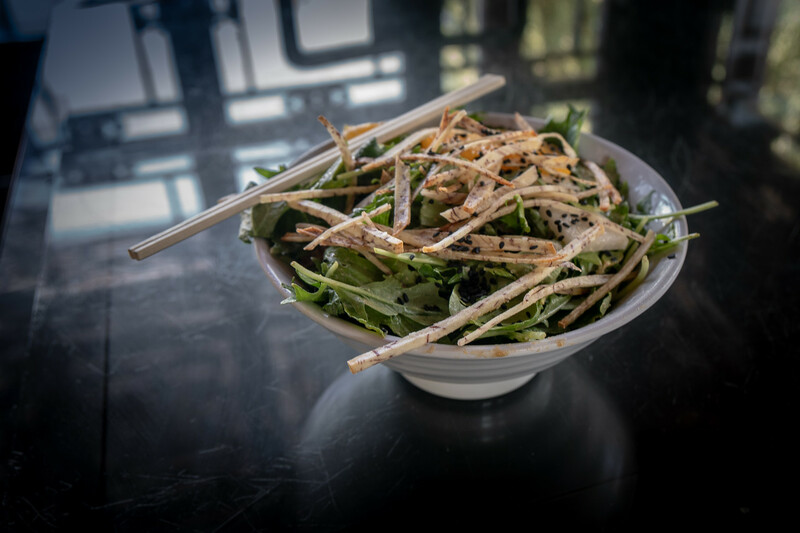 Citrus Sesame Salad from the existing cafe. The food was good, but seating was at a premium. A larger cafe may be a good idea. After lunch, my group wandered off to photograph the garden. I slipped back into the cafe to photograph the cooking. I found these chefs fascinating. They didn’t stop for a minute. The flames soared into the air as they worked a stir-fry. It was thrilling to watch. I was also in the way, so I didn’t linger. Yes, a bigger cafe may be a good idea. 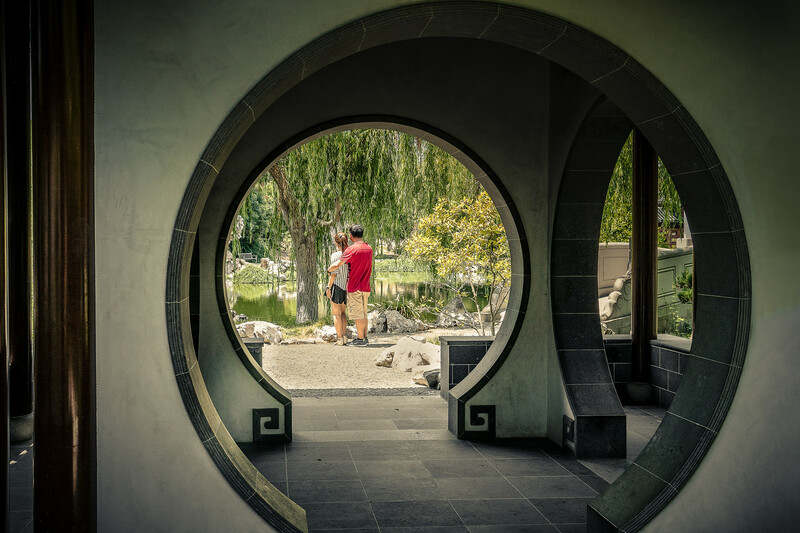 The Chinese Garden is a great spot for strolling or quiet contemplation. I didn’t spend long at the Huntington; the California sun was too warm for me. As I walked back toward the parking lot, I passed the garden entrance with its stone lion statues. These are the traditional two, a male and a female. Male stone lion with his paw on the ball representing good fortune. My visit was brief but enlightening. The Huntington is a large garden with many smaller gardens within it. I’ll return and explore another before the year is over. Plan to spend the entire day; the entire Botanical Gardens cover about 120 acres! Get a reservation if you plan to eat at the Tea Room. It’s always crowded. 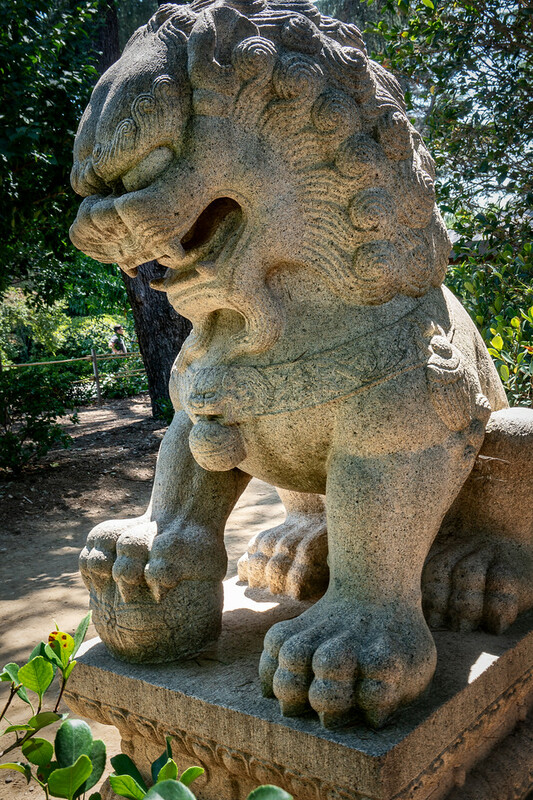 To see more photos from my short visit to the Chinese Garden (including the second lion), please click here. Excellent post Elizabeth. 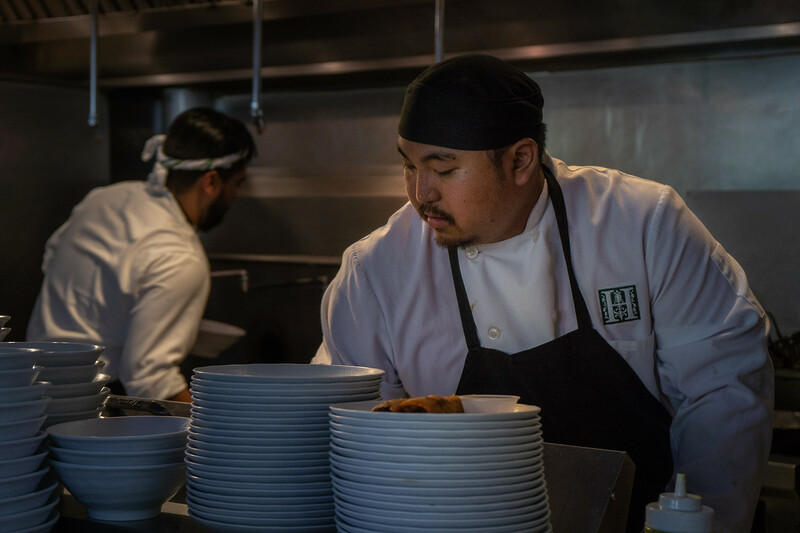 I really enjoyed the candid images of the chef’s in the kitchen and the couple seen through the circular shaped opening. Thanks, Glenn. I liked the kitchen shot as well. As for the couple, I dared stop them and asked them to pose for me. It took a bit of courage but the picture needed people.